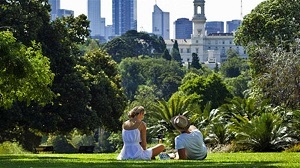 Melbourne is renowned for being a colourful city bathed in culture and cool activities. Throughout the streets, there are numerous museums, galleries, restaurants, and shops to explore, as well as a range of must-visit attractions. 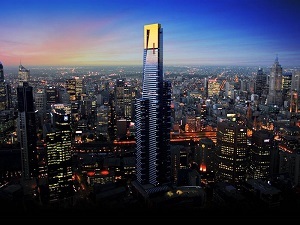 Here are some of the best things to do on Melbourne city tours. The Eureka Skydeck is the highest viewing platform in the whole of the southern hemisphere, and offers breath-taking views out across the city from the 88th floor. From the top, you can look out at some of Melbourne’s top attractions, including the picturesque Dandenong Ranges in the distance. Boasting an impressive dose of the Gothic Revival style, Melbourne’s St. Paul’s Cathedral dates back to the mid-1800s. Today, it continues to be a top attraction amongst the city’s best-loved stores in the shopping precinct. Set around thirty minutes or so outside of the city centre, the Dandenong Ranges unfold in a show of picturesque mountain scenery that is the perfect contrast to the hustle and bustle of city life. There are plenty of walking tracks to enjoy and spectacular wildlife to spot in these parts. Animal lovers should hotfoot it to Melbourne Zoo, which sits in the heart of the city. Here, you can see some incredible animals and learn more about their behaviour and habitat. The Botanic Gardens unfold in a show of fine landscaping, offering a relaxing backdrop for a leisurely stroll and a wander through amazingly scented rare plant species. Culture-vultures will love the array of museums and galleries in Melbourne, and the National Gallery of Victoria is one of the best. Here, you can peruse paintings that date back to 1861 and learn more about the historic creative pursuits of the city. The iconic Melbourne Cricket Ground has been home to some of the world’s most major sporting events over the years, and you can learn all about the part it played in them at this popular destination. 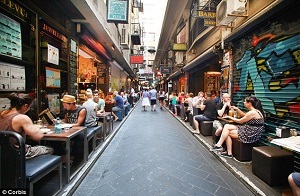 The laneways form an important part of Melbourne’s cultural scene, each of which has its own personality and set of quirky eateries, cafes, boutique stores, and graffiti scenes. Markets are a huge part of Melbourne life, and there are numerous vibrant stall-based events that take place throughout the week. Check out the Queen Victoria Markets, the South Melbourne Market, and the Sunday Camberwell Market to get started. Melbourne is home to a fantastic burgeoning foodie scene, which you can try out in one of the many delicious restaurants dotted throughout the city.